Security technology vendors are bullish on SOAPA and have strong opinions about how SOAPA can impact security operations. In this video series, Jon Oltsik and Doug Cahill explore the concepts, deployment, and future of SOAPA with industry leaders. The intersection of cybersecurity and risk. Collaboration between risk and security teams. The role of machine learning. The problem with vulnerability management. How have organizations dealt with this situation in the past? How Kenna Security aligns with the SOAPA model. The bridge between security and IT operations. The current state of DDoS attacks. Network security analytics use cases. Coordination between security and IT teams. The rationale for security operations technology integration. The value of SOAPA for cybersecurity professionals. SOAPA and security operations processes. SOAPA must be designed to support analysts’ needs and not just technology integration. SIEM is a part of SOAPA but not SOAPA itself. What about security operations automation and orchestration? Why is SOAPA relevant today? Are there consistent security operations issues amongst enterprise organization? What’s with the growth of security data? The role of SIEM in SOAPA. The impact of the cybersecurity skills shortage on security operations. 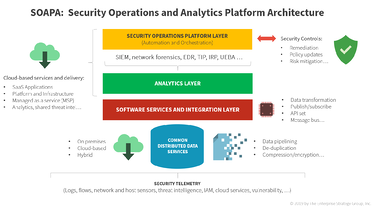 The purpose of a security operations architecture like SOAPA. Why network telemetry is so important for security analytics. Adding value to the SIEM. What about the cybersecurity skills shortage? Integration with cyber threat intelligence (CTI). As a former employee of SIEM pioneer ArcSight, Rick has lots of experience and opinions about the history of security operations, what worked and what didn’t in the past, and the reasons why SOAPA aligns so well with enterprise security requirements today. Market confusion around machine learning/artificial intelligence for security analytics. How user behavior analytics (UBA) evolves into SOAPA. Security operations automation and orchestration. Customers want help with incident response. Splunk on the industry activity around incident response. 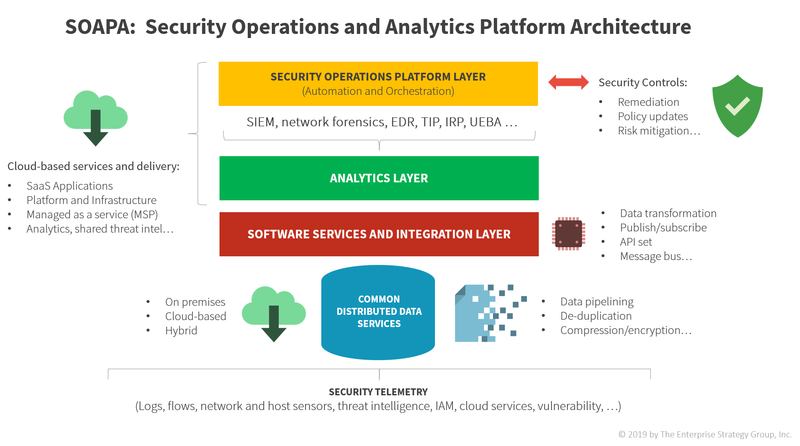 In this first of a two-part video series, Mike Viscuso, Carbon Black’s Chief Technology Officer, and I begin to explore the expansive topic of employing a security operations and analytics platform architecture (SOAPA) to operationalize security analytics. In this second of a two-part video series, Mike Viscuso, Carbon Black CTO, and I pull on more SOAPA (security operations and analytics platform architecture) threads, including the role of SIEM in the next-gen SOC. How does IBM communicate the SOAPA concept to potential customers? Does IBM see SOAPA like the transition from departmental applications to ERP in the 1990s? Is it time for the security industry to rally around some type of common SOAPA standards? SOAPA must supplement people with integration and intelligence. What about the need for SOAPA scale? 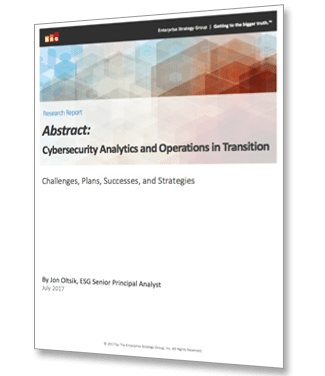 Groundbreaking research-based discussion exploring the complexities and nuances of modern security analytics and operations recorded on Wednesday, July 19th with analysts Jon Oltsik and Doug Cahill.